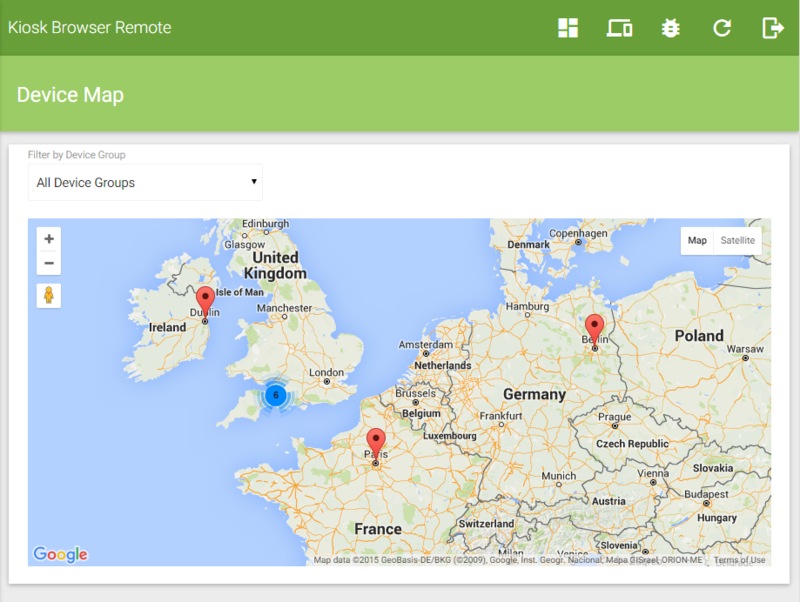 Remote Management provides a device map feature to display all of your device locations on one map. It is also possible to filter by device group which is helpful if you have a large number of devices. If your device is not reporting its location you can set its location manually by using Overrides (latitude & longitude).